Last weekend, I was fortunate to go to Moonrise Festival in Baltimore, Maryland. It took place at Pimlico Race Course as it did last year. For the most part, the festival was the same as last year. You have four stages. There were two main stages – Stellar and Lunar stages. The Solar stage took place under the tent in the middle. Finally, the Celestial stage was on the side and slightly larger than last year. The lineup? The lineup seemed stacked. Quite stacked. You had a little bit for everyone. There was even one trance artist – Ilan Bluestone. This year, I brought my buddy to attend the festival with me. He was a complete festival virgin and I felt that Moonrise was ideal choice. We went. We attended. We met with friends and writers. It was a solid time, but there were a lot of flaws. Flaws that I cannot overlook and apparently many couldn’t either. I seriously believe that in order for this festival to take place next year and be successful. Don’t get me wrong. There were upsides, but the downsides are much darker. Moonrise tends to do one thing very right. They stack their lineup and stack it big. They’re good at it; so much so that they frustrated many with so many conflicts of artists playing at the same time. There is not much you could do, but that’s always a bummer and a testament to their awesome lineup. Ironic as that is what we found to be last year. No worries though as this isn’t unique to this festival and is clearly a huge draw. I can tell you that despite my buddy’s objections (he’s a mainstream electronic dance music fan), we kept running around between stages. While we were running around the stages, we found ourselves noticing that there wasn’t much overlap in sound. Moonrise was fantastic about squeezing four stages without sound pollution. Although, we found that the sound at the stages themselves to be not the best quality. For instance, there was incredible bass coming from the Stellar Stage. I wouldn’t have thought much about it, but house music was playing and the bass shouldn’t have been rattling like none other. From what I was told, the Solar Stage had much less speakers than last year and sound wasn’t good at all. I couldn’t verify that part because I hardly spent time in the tent. I wanted to be in the tent, but the amount of people that were in the tent made it nearly impossible. I was in there once. I was at the tent many other times. I just sat stood outside because I couldn’t fit in there. The one time I was in there though, it was from Marshmello. Holy hell, that guy has a huge following. The backstage was full of artists. The front stage was full of fans. There was me and my buddy up against the fence. You would have thought we were apart of the fence for how tight it was in there. That seemed to be the theme of the whole festival. Too many people. Every single stage overflowed. It only got worse throughout the day as more people arrived and the bigger names started playing. I am not even close to exaggerating this. Not in the slightest. Moonrise’s website said they were ~90% sold out. That means they had more tickets to sell and potentially could have had more people. While that is a hypothetical situation, but just picturing 10% more people on top of the overcrowding is terrifying. One of the biggest issues from the crazy amount of people was the after effect of that many people. You see, when you have a ton of people in a single area, phone service tends to drop. My phone became completely useless. I couldn’t get on the internet. Nor could I even make a phone call or send a text. It was very rare if I got anything through. While that affected me with my interviews, it only created a larger situation. You see, people don’t like to bring cash to these festivals. I don’t blame them completely because cash can get lost and then you’re out. Lots of people brought credit and debit cards. I want to say there was a correlation to the amount of people and the credit card systems because every single vendor’s credit card system dropped. It needs the internet or phone service. That issue created a mad dash to the ATM’s. There were (from what I could count) six ATM’s at three locations (two to a location). Lines were longer than anything else at this venue to get cash. Eventually, those machines had to run out which created some extremely angry people. I saw many people yell at vendors about how they were supposed to eat and/or drink. I had people come up to me and ask if they could Venmo me for some cash. That would have been dandy had they been able to access the internet. I wasn’t about to be anyone’s ATM machine. Although, this is partially their own fault for not bringing any cash. Now, when you’re running the festival, too many people sounds like an amazing thing. More people = more money = more profits. Business 101. If you’re running a festival, you’re running a people business. It is to keep everyone happy, entertained, and safe. This is where there was the major issue. People weren’t necessarily safe. Not in the slightest from security Although, before I delve into the dark and terrible part of the festival, I do want to note that Moonrise did something great. The weekend was real hot. 90 degree plus weekend. Not to mention, there was supposed to be a thunderstorm that never happened. With that in mind, I was wearing Timeberlands and expecting a situation worse than Tomorrowworld. It wasn’t that I didn’t think that Moonrise could handle it, but I wanted to just be prepared for the worst. Anyway, with the heat, dehydration was inevitable. According to the news, 49 people were taken to the hospital just on Saturday. I found this to be a low number due to the heat. Although, Moonrise has a volunteer program called the Star Team. They were phenomenal. They were passing out water and spraying people with water. While water bottles were $3.00 and there were water stations to fill up your water bottles or camelbacks for free, the Star Team were giving away water. I had a glimpse of the backstage area and saw palettes of water that were being given away. That was astonishing and awesome. I hate to say it, the free water and spray downs weren’t enough. There needed to be a misting area. There was a igloo area that was air conditioned, but you couldn’t fit even 1% of the people there. There was very little shade. People were struggling to keep their body from cooking (literally). I had no issue getting water, but maintaining a lower body heat was extremely difficult. There was a moment when we were watching Shaun Frank when we witnessed a girl pass out. I have never seen something like this. We write about this sort of stuff. Although, seeing it in person was extremely scary. The Star Team and the bike paramedics were top notch. The crowd was understanding and everyone helped this girl to safety before she was carted away. While I felt safer because of that scene, security was the biggest issue. My first issue with security was entering the festival. We had entered through the VIP entrance. Within the 10 feet of the entrance, my friend was insulted as well as we were patted down not once, not twice, but three times. I understand the requirement to find drugs or even worst, weapons, but I found the requirement of three pat downs in a row to be redundant, a waste of time, and a waste of resources. On top of that, I had left cash and my wallet in my pockets accidentally and none of the security members found them. It is kind of terrifying being that they were in each of my back pockets. From what I was told by many people, security barely checked females. I find this to be rather appropriate in regards to the many sexual harassment and exploitation that took place last year. I personally understood that by security getting a bit too handsy, but that wasn’t necessarily the case this year. There were even those who said that bags weren’t even checked at all. While I didn’t witness that directly, I did see three females each have a fifth of liquor drinking out of it in the crowd. I can’t even conceive how they’d hide them so ideal to get them in the festival. It was that or they stole them which I find that to be even less likely. We are aware of the reports coming in about members of specific security teams on site acting in an unprofessional manner that would be considered unfair to our patrons and unfair to the event. We are taking these reports very seriously. We ask that anyone who had any issue with security personnel on site please contact us immediately at [email protected] with full details, including a description of the individual, what they were wearing, where the issue took place, and what happened. We have already begun an investigation with the management running each of the security teams on site. We will be addressing these issues as a whole internally and on a personal case-by-case basis with our fans. I watched security hassle many people. I can’t say that I witnessed the extortion live (although, if you go to their Facebook page, you can find many anecdotes), but I did see security do very little. What I mean by this is there was only one situation where I found six security guards in a group trying to find people smoking marijuana. I understand the idea of trying to clear any illegal drugs, but having six security guards shoulder-to-shoulder trying to muscle their way through, but didn’t find much despite how abundant the drugs were. It would have been more reasonable for the guards to split up, but I am not an expert in security so I may be wrong about this. There was an instance where I saw security guards argue with one another as they seemed like a couple. I saw one security guard that he was done working (at the end of the night). Many security guards up high just seemed more occupied by the show. Some of the areas around the Pimlico Racecourse venue are not as safe as others. We ask everyone be vigilant and aware of where you walk. Please use Lyft, the downtown shuttles, or call a cab when necessary.. Visit our travel page for information on finding a pick up point or where to go:http://moonrisefestival.com/travel.html. If you become lost around the perimeter of the venue, ask any security personnel, parking staff or police officer for assistance. They will be located in the parking lots and on streets around the venue. This sounded great, but I didn’t see a single security member outside of the venue. Note, this was within two hours after the festival was over. I had waited for a Lyft for two hours being that the raise was 400x. It didn’t change until 1am and there was still a ton of people. To make matters worst, cops prevented Lyfts from going to their designated spot. According to one of the Lyft representatives, they paid a ton of money for this spot and they couldn’t use it. That forced hundreds, if not thousands to hang out around Belvedere Avenue and Park Heights Avenue. There were no security by then and cops were at an all time low. This is a very dangerous area according to Trulia crime maps. I won’t lie, hanging out in a terrible neighborhood at 1am was not my ideal scenario. The only solace I took was that the crowd was so big. That didn’t stop the people who stated they were assaulted or robbed. While they were accusations, I don’t like to take any of them lightly especially when there are multiple accusations. It may not be completely true, but there has to be some truth to them. 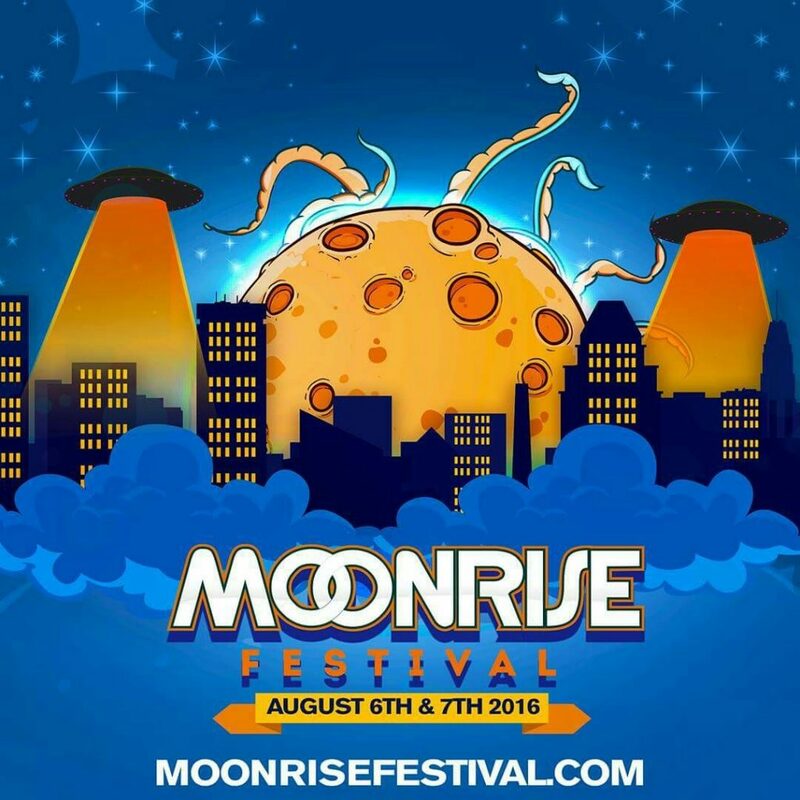 This situation may have been out of Moonrise’s hands, but they did not do anything to help facilitate an easier transition to the new location. Essentially, all of these downsides have really turned me off from the festival. I really had my sights on making this a yearly event, but Moonrise needs to do some major changes. Based on my experience, I have some suggestions that Moonrise would have to take to make this festival ideal moving forward. First off, let’s talk about the good things. Keep the good lineups (although fire that bugger who made the daily lineups as that was confusing as hell. Shoutout to the guy in the Moonrise 2016 group that made it much easier). Keep the food. Love the food for the majority of it. Keep the separate bathrooms. Although, I feel slightly weird that they provided guards to the female side only. Although, here are some things I would change moving forward. Picnic tables. They are so undervalued, but it makes a whole big difference especially when trying to not eat your food like an idiot. I was that idiot. New venue. The hood of Baltimore is not safe for anyone. This also allows for expansion as there were too many people. Add an open area so people can cool down. Have multiple ones near the water areas. Go bigger with the stages. Don’t go higher. It was neat seeing the artists so high up, but only seeing their heads was a bit weird. I feel terrible for the photographers that weren’t allowed on stage because good luck getting that photo. But bigger allows for more people to fit and not be standing outside of the tent where it was the equivalent to listening at home with speakers. Better sound. I am not a sound engineer, but I knew something was up as did others. GET BETTER and CONSISTENT SECURITY. I get it. They’re essentially mercenaries that are there for two days of standing around and making some cash. Terrible front door work did make the lines go quicker than last year, but extortion and harassment is worse. Don’t just protect the inside of your venue, protect the outside of your venue especially when you’re providing paid parking. Also be there when they’re walking to a newly assigned area due to the police changing the pickup spot for Lyft that you advertised. I did really try and to enjoy this festival. I wanted to like it as there aren’t many East Coast festivals compared to the rest of the country. I had brought my best buddy who was a festival virgin. Moonrise, you have a lot to change. You have a good festival plagued by things that shouldn’t necessarily be an issue. There seems to be a lot more complaints, but these are what truly bothered me personally. I liked seeing artists I haven’t seen and did enjoy myself despite these weighing issues, but this needs to change and be made an absolute priority if you want to continue your success.